My painting has been after the vividity and beauty of things in reality, and the airspace and light that illuminate and surround these things. 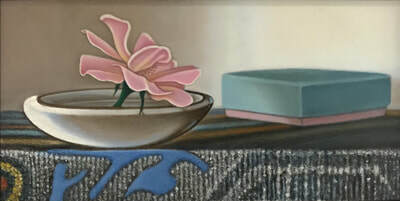 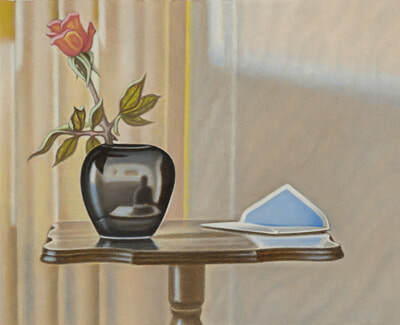 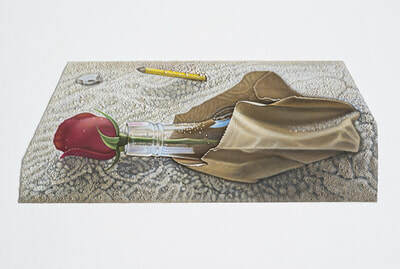 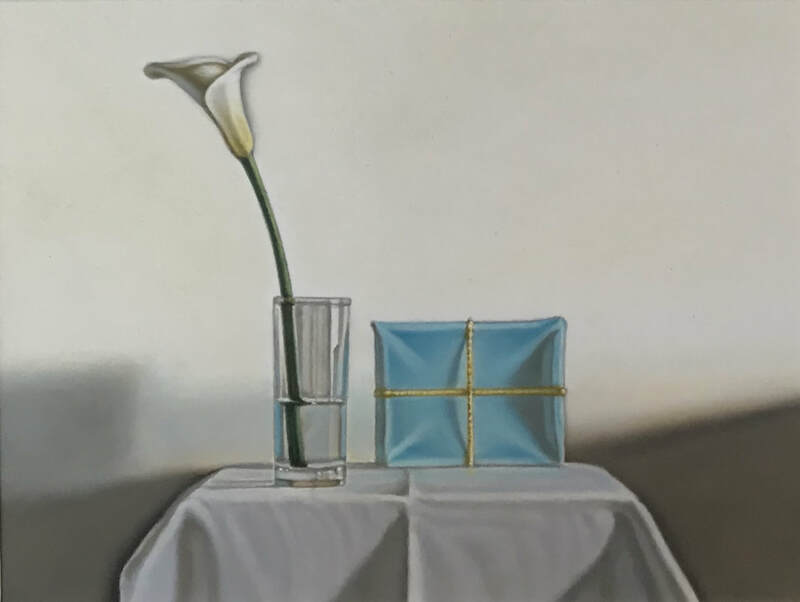 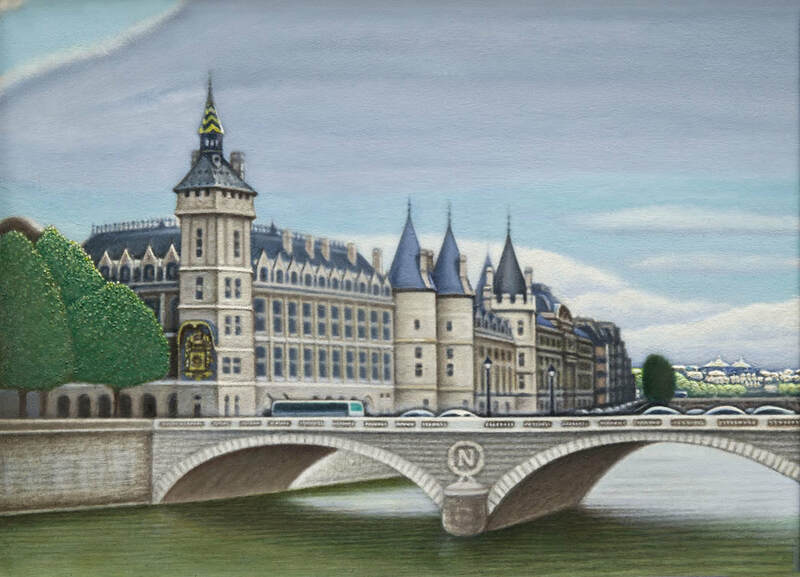 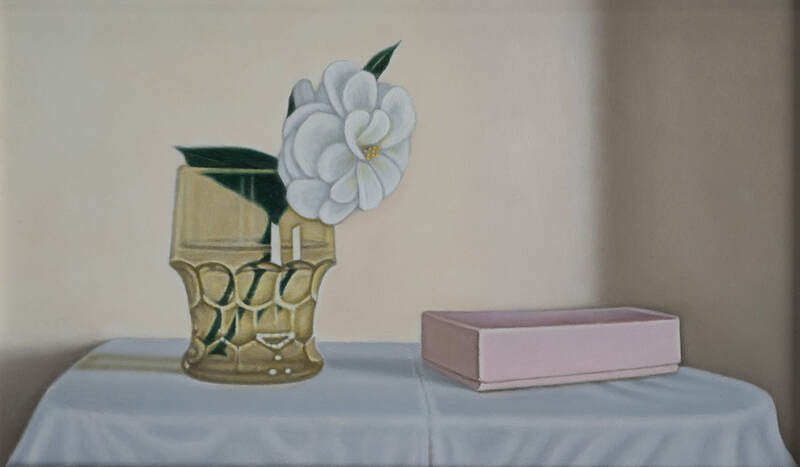 I have been after a reality miniaturized yet extended (see black porcelain vase in the “Artist in the Studio” painting), enhanced but quite natural. The things in my paintings are not mere objects, but hold a vivid silence, a presence, and sometimes a tacit symbolism. 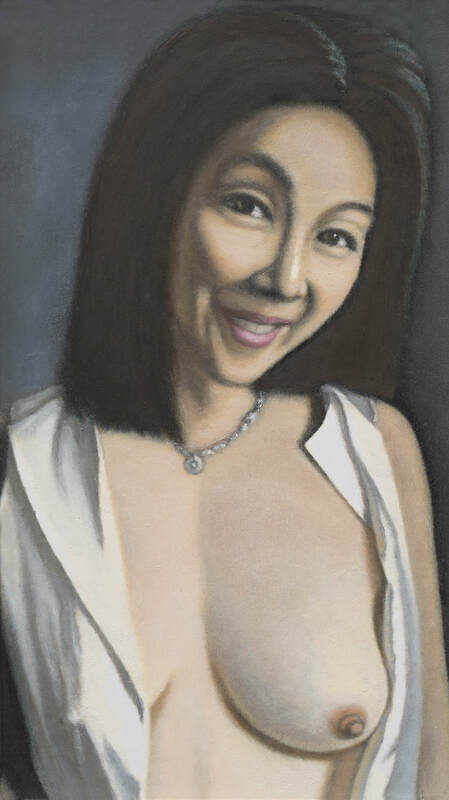 Even in the rare figure portrait “Final Portrait” I was after getting the vividity and spirit of the woman, and the light and luminosity on the skin. 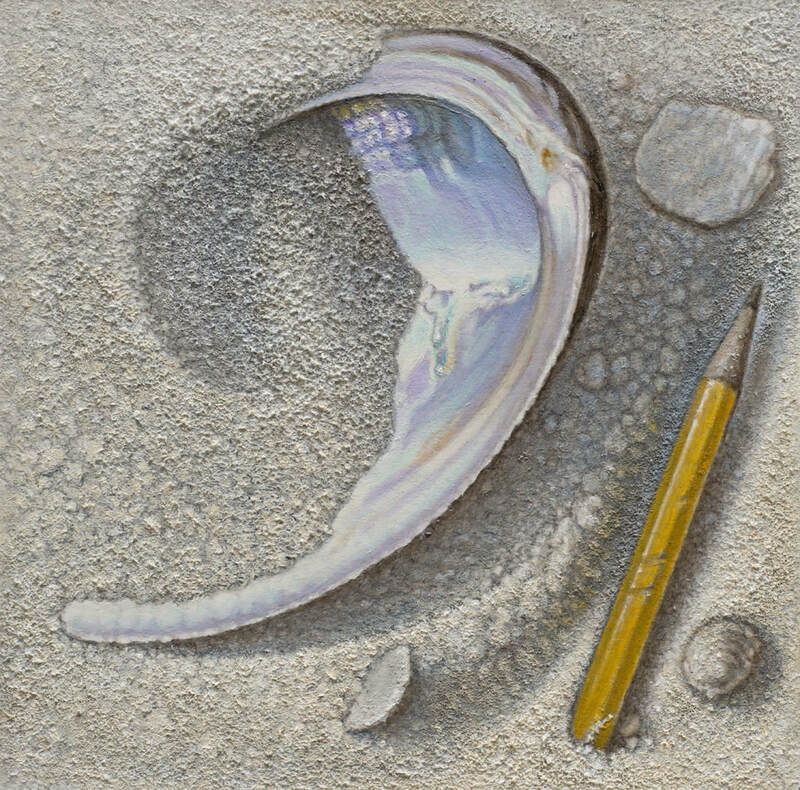 The painting process involves a careful visual perception, and a slow application of paint, multi-layered and often heavily textured (see “Sandscape”).